(Newser) – A 22-year-old Fordham University student was fatally injured early Sunday during a banned "rite of passage" at the Bronx campus. The Jesuit university says Sydney Monfries was injured in a fall inside the iconic Keating Hall clock tower around 3am, the Fordham Ram reports. She was pronounced dead in St. Barnabas Hospital on Sunday evening. Police say she tripped on a landing inside the tower and fell 40 feet through an opening in the stairs. Monfries, who was a month away from graduation, had apparently climbed into the off-limits tower with a group of fellow seniors, the New York Times reports. The group had sent a Snapchat video from the top of the tower. 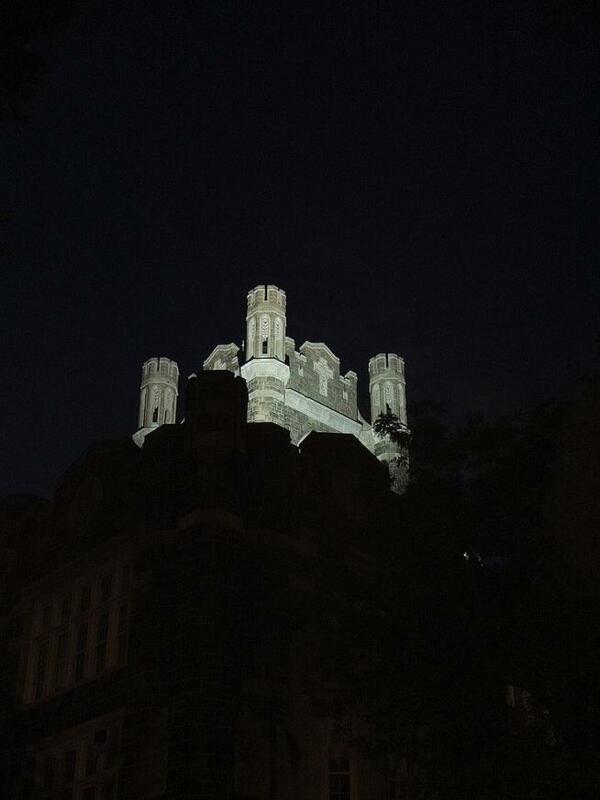 Students say sneaking into the university's most recognizable building at night has long been a tradition for Fordham seniors. The gravity of the situation? Poor choice of words. WHY do these kids even "DO" these things??? Ridiculous!!! If they'd quit doing 'em, maybe...just maybe...they'd still be alive!!! She had only months left before she was going to spread her wings and fly. Should’ve waited till then to try it.